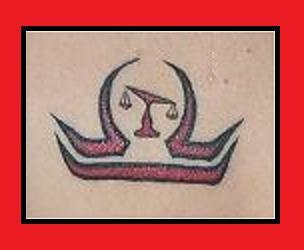 Scroll down for a collection of Free Printable Libra Tattoos. To view Libra profiles, Libra designs, other zodiac signs, and more cool, free printable items, visit any of the links on this page. To print any of these images, simply right click on the image and select a PRINT or SAVE option from your drop-down menu. This will send the image over to your picture file. From there, you can reduce or enlarge the image as needed prior to printing. Be sure to alter the design to make it uniquely your own. Then take it to your favorite neighborhood tattoo artist. Better still, buy some temporary tattoo printer paper at your nearest office supply store. 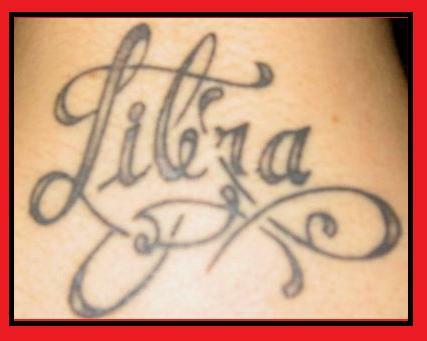 People under the sign of Libra are born between September 24th and October 23rd. The colors most often associated with the sign if Libra are purple and yellow or pink and pale blue, although any two opposite colors work harmoniously. 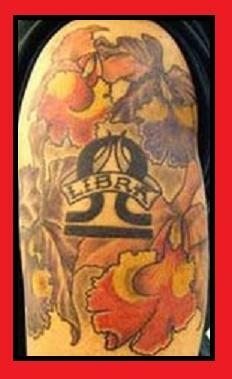 Appropriate gifts for Libra personalities are good books, two-person games, and artwork featuring symmetrical forms. Careers most suitable to a Libra personality include architect, attorney, judge, diplomat, and clinical psychologist, among others. The "star stone" (not to be confused with the birth stone) for the sign of Libra is the Sapphire. The art of tattooing (also known as Body Art) has been practiced for many thousands of years, and is popular worldwide. According to a recent phone survey, more than 25% of American adults have at least one permanent tattoo. Permanent tattoos are created by injecting pigment directly into skin tissue using a fine needle. 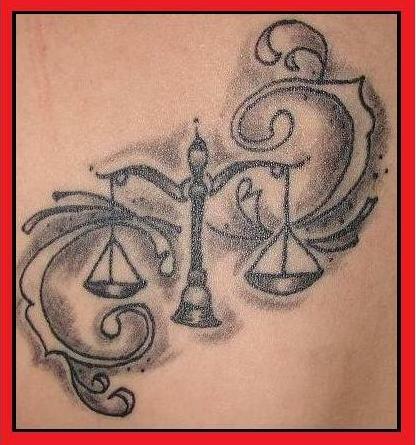 These types of tattoos can only be removed without scarring by cosmetic laser surgery. Temporary tattoos produce a similar appearance which can last several weeks, and they don't wash off in the shower. Today's temporary tattoos can look surprisingly realistic, yet they can be easily removed by applying mineral oil.